In a modern world, we expect everything to be standardized. With a few exceptions – the inability one encounters trying to plug American electrical devices into European outlets being one of them – a globalized economy and culture have more or less made the vast majority of tools and instruments interchangeable according to universal agreements and standards. Another one of those exceptions might be the tuning of notes in Western culture music. Music is, after all, quite global. And yet going back decades and up to today, finding that perfect Concert A is elusive. 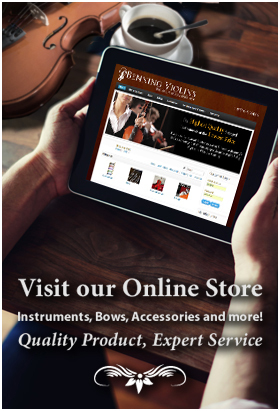 Strike up a conversation on this topic in a violin shop populated by six people and you may well get six different viewpoints. First, there is a scientific way of determining pitch, which conventional wisdom says is 440 hertz for the Concert A. That sounds pretty standard, right? Except the Concert A for non-transposing instruments (violins, violas, cellos, harp, flute, piano, and yes, the marimba, among others) is actually a different note for transposing instruments (double bass, piccolo, B-flat clarinet, contrabassoon, French horn, B-flat trumpet and, of course, the glockenspiel, among others). This is mostly a matter of semantics, but it also hints at the complexity of a single musical note. 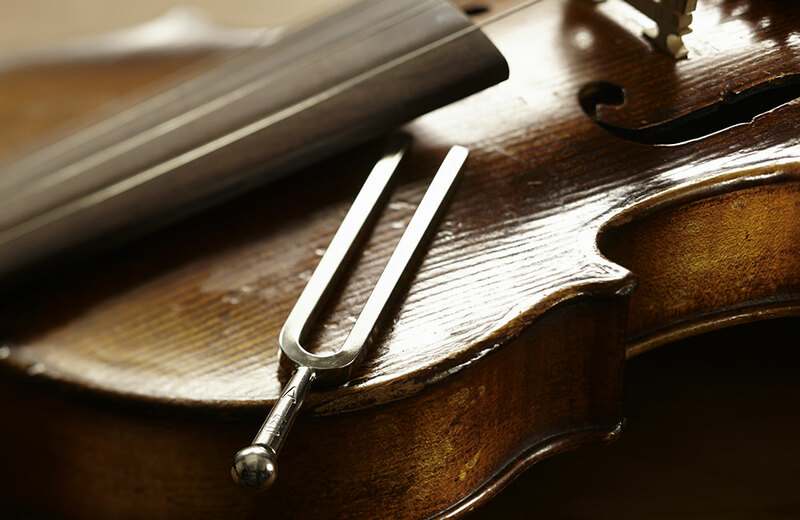 • Invented in 1711 by British musician John Shore, the tuning fork produced the first pure tone (technically superior to a stringed instrument because it has much less of an overtone that would override or muddle the perception of the fundamental note). The forked shape, with parallel tines, converges at the base while the handle is connected to a resonance box, which amplifies the sound. But air temperature can affect the frequency, so its use is set at 68 degrees F, or 20 degrees A. Which doesn’t necessary hold for outdoor July concerts in the Hollywood Bowl. • The standard 440 Hz setting of tuning forks doesn’t get full agreement with everyone. Reportedly, the Boston Symphony Orchestra is set to 444 Hz, the New York Philharmonic to 443 Hz, and the Berlin Philharmonic 445 Hz. Some solo violinists intentionally tune at a number above the orchestra’s 440 Hz, around 442 Hz for example, to create a slightly brighter sound. • And which instrument tunes to the tuning fork before tuning the entire orchestra: the concertmaster violin or the oboe? In a concert band/wind ensemble, the absence of all strings defaults this responsibility to the oboe, the principal (first chair) clarinet, or sometimes the principal flute or saxophone. But in an orchestra, it is not uncommon for the concertmaster violinist to cue each section to its Concert A. Still, the oboe is more often than not the instrument by which all others find their pitch. Alas, the familiar metal tuning fork itself is slowly giving way to electronic versions thereof. The most accurate of these, the strobe tuner (using stroboscopes) is nonetheless expensive and temperamental, with moving parts that tend to require service and repairs. Only the luthiers making and repairing the finest instruments have access to these.